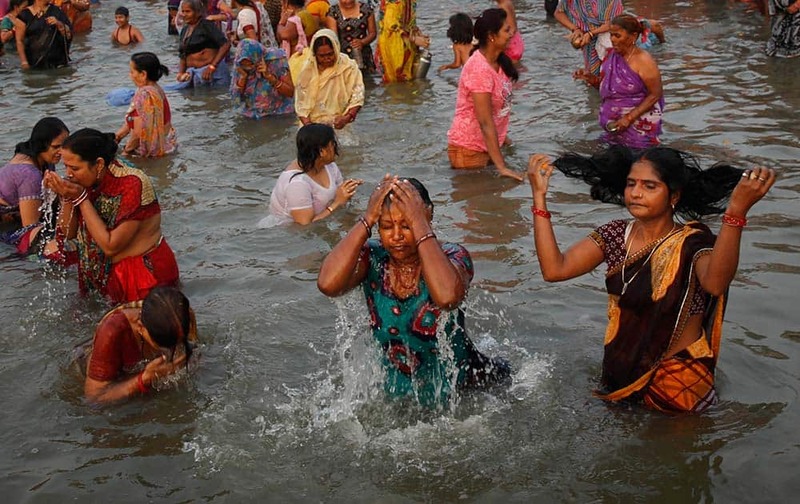 Hindu devotees perform religious rituals as they offer prayers to the Sun god while taking a dip in the river Yamuna on the auspicious occasion of Karthik Purnima in Allahabad. 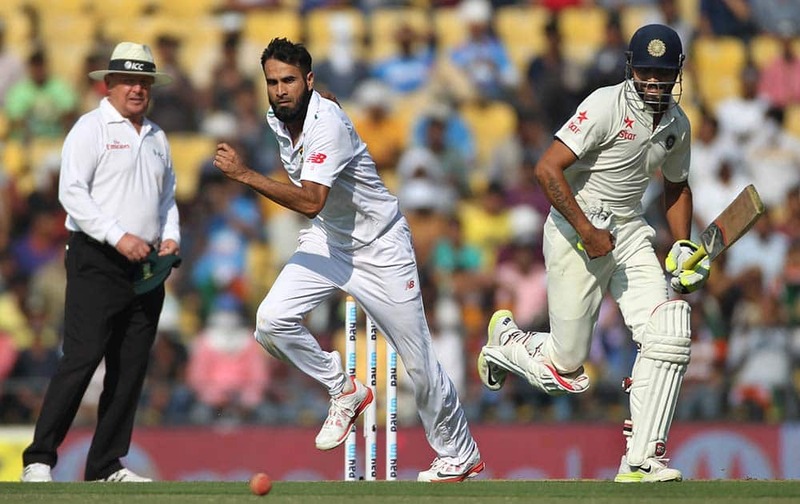 Ravindra Jadeja, right, takes off for a run as South African bowler Imran Tahir tries to field, on the first day of the third test match between the two countries in Nagpur. 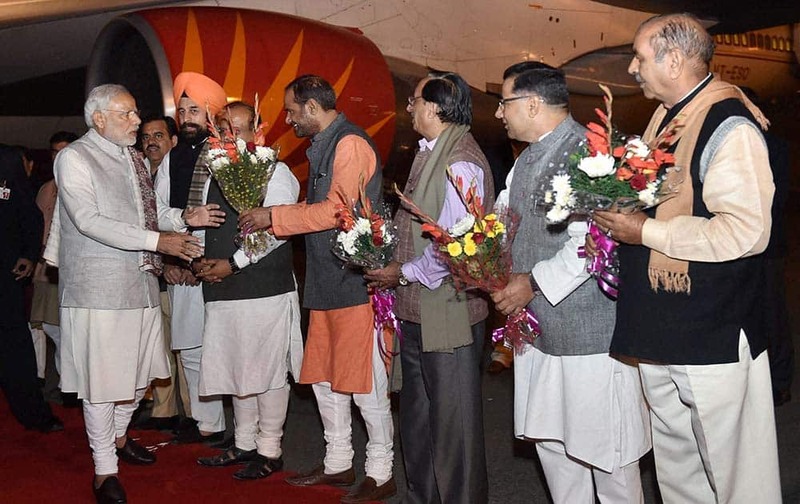 Prime Minister Narendra Modi being welcomed by the party leaders and workers on his arrival from Singapore at Palam Airport in New Delhi during the wee hours. 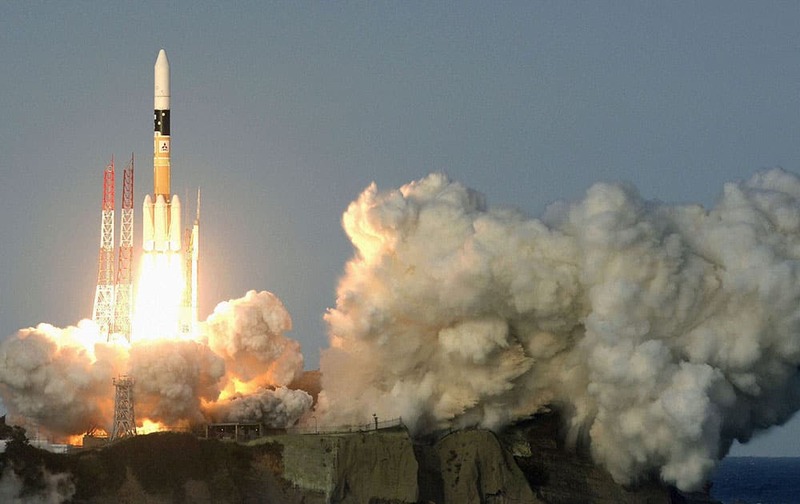 A Japanese H-2A rocket is launched from the Tanegashima Space Center in Tanegashima, off Japans southernmost main island of Kyushu. British aviator Tracey Curtis Taylor after a fly past in Hindon on Tuesday. 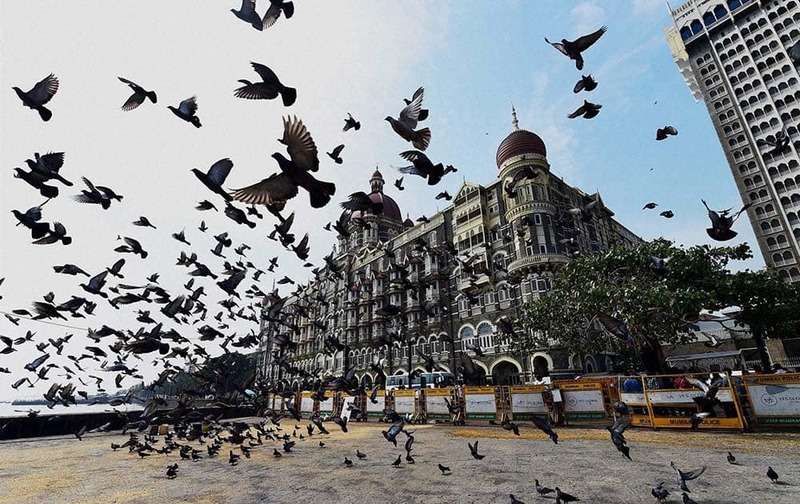 Taylor, a renowned adventurer and pilot, is currenlty in India as part of her journey from the United Kingdom to Australia in a biplane. Indian Cricketer MS Dhoni and ISL Chairperson Nita Ambani during the Indian Super League (ISL) match between Chennaiyin FC and Delhi Dynamos FC at Jawaharlal Nehru Stadium in Chennai. 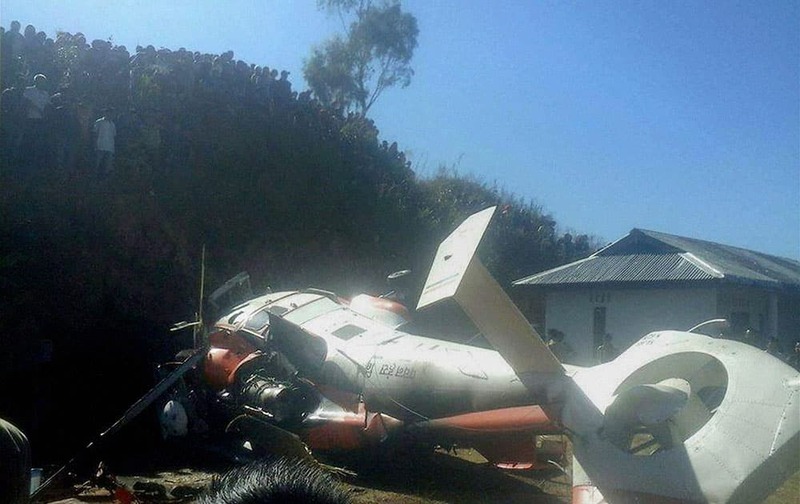 The wreckage of a chopper which crashed while carrying a disaster management team, near Meluri in Nagaland. 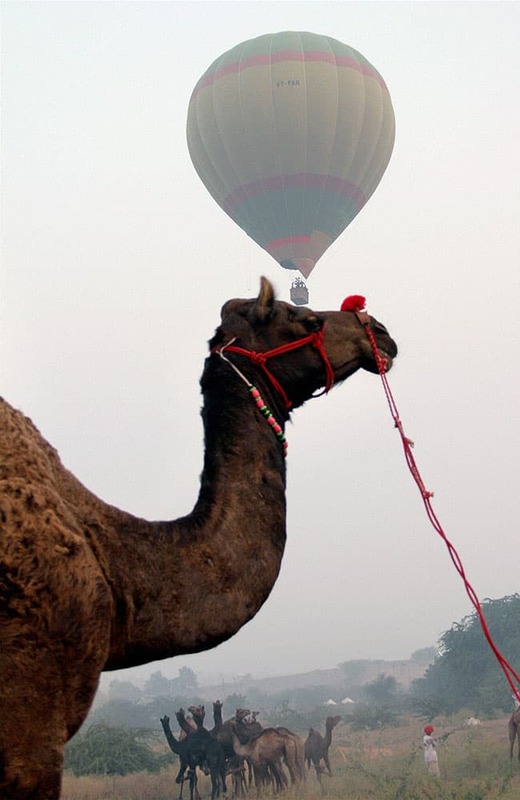 A hot air balloon rides during the worlds largest camel fair in Pushkar, Rajasthan. 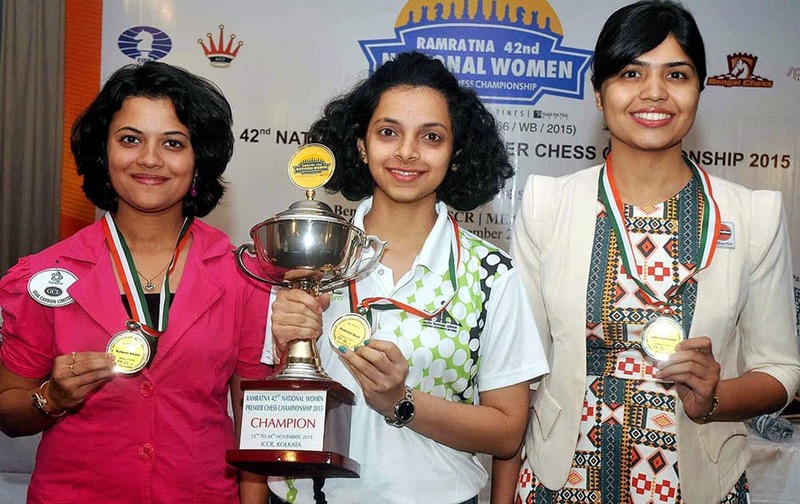 Winner of 42nd National Premier Women Chess Championship-2015 Padmini Rout of Odisha with the runner-ups Soumya Swaminathan(R) of Indian Oil and 2nd runner-up Bhakti Kulkarni(L) of Goa during the prize distribution ceremony, at ICCR in Kolkata.